Welcome to my Christmas Gift Guide! It's finally almost Christmas! Doesn't time just absolutely fly?! I'm so excited for Christmas this year - last year was a hard one due to my mental health, but things have improved so much after the last year, it's good to finally enjoy it. 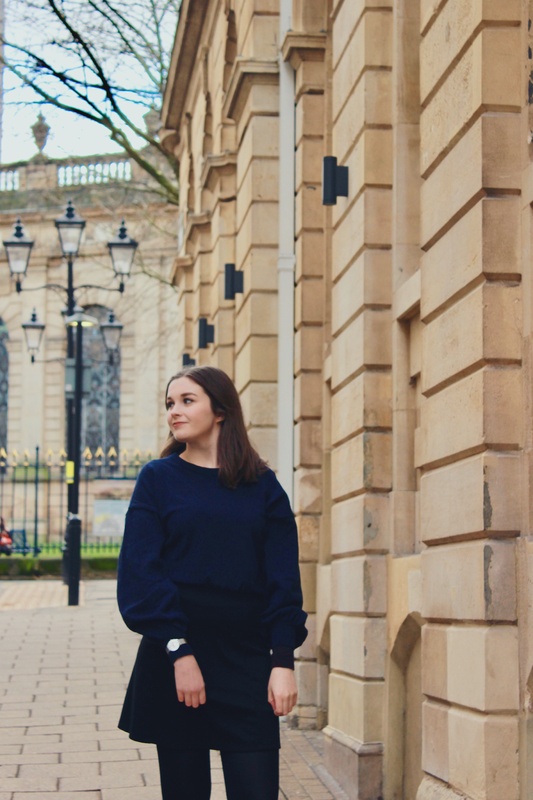 Christmas Gift Guide posts are my favourite to read over the Christmas period - and I wanted to get this out there so that you have time to use the inspiration or make some purchases, if you wanted to. My goal was to ensure that there is something for everybody, at all price points, so I really hope you enjoy this post! The Benecos Winter Dream Gift Set* (£10.95) is a wonderful gift set option for those who 'don't need anything'. Their products are all vegan. This set in particular contains a shower gel, body lotion and lip balm. I'd actually suggest this for a younger audience and students, as it means they'll be stocked up on toiletries for a while! 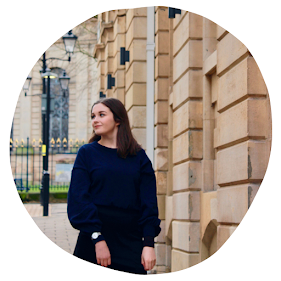 Featuring some items from a fellow blogger, Fiona Likes to Blog runs an Etsy Shop featuring a range of mental health and wellness items. 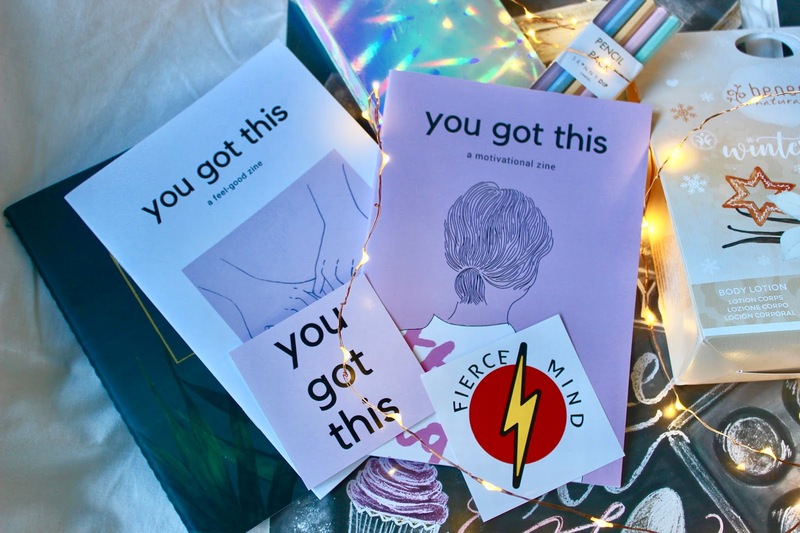 Her zines are absolutely fantastic, and you can actually pick up a Double Pack of her 'You Got This' zines* for only £10! I like to keep mine in my office desk at work, and they can be fantastic pick-me-ups. Stationery is always a wonderful choice and I'm loving the Holographic 'No Memories of Last Night' notebook and the pencil pack. I can't actually find them on the website, but I think there are so many gorgeous stationery pieces out there to inspire you, even if these exact ones aren't available! At risk of sounding too 'cheap' (although I prefer to think of it as budget friendly), Poundland and Wilko also offer some gorgeous stationery at really affordable prices. Who can ever have enough notebooks? These prints were just two of the many prints that I was sent from Smart Arts Gallery - how cute are they! The Pre Wash Print* (£12) and the I love you so much print* (£12) are two options created by Rupert Fawcett. My favourite is the 'I love you so much' print - I just know that my brother will love this as my cat, Ruby, always follows him around when she wants a treat! For a more purse friendly option, this Star Mug and Hot Chocolate Set costs £3.99 from B&M bargains - isn't it absolutely stunning! If you cannot already tell from my blog, I think stars are gorgeous and so trendy at the moment. An alternative buy for the fashion conscious is these Fold Up Ballet Flats from Cocorose London! This style specifically is the Barbican Leopard Print Ballerina* (£45), though there are a range of other gorgeous patterns and styles on their website. I am in love with their loafers! What makes these shoes so great is that they are elasticated, incredible comfortable and also fold up into a pouch bag, making them perfect for on the go, travelling and Christmas parties! 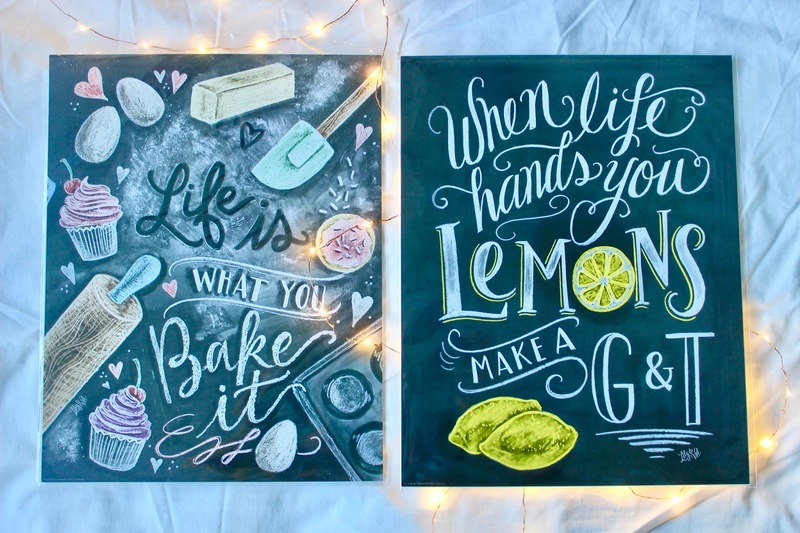 'Life is what you bake it'* (£12) and 'When life gives you lemons, made a G&T'* (£12) are another two offerings from Smart Arts Gallery. I think we all know somebody whom these will be just perfect for! Smart Arts Gallery offer a variety of prints for men too; I just know that my Dad will love the Shaun of the Dead 'Record Breaking'* (£12) option! Some other well loved prints include the Jurassic Park 'Look' print* (£18) and the Jaws Tooth print* (£18). Pewdiepie's book, 'This Book Loves You' (£9.19) is a great book for the younger people in your life. Even at the age of 22, I absolutely love it! It's essentially a mimicry of mindfulness books, though it is so funny - you can't help but love it! It's so lighthearted that I'm sure that everybody will love flicking through it. The Pixel Glasses (£1) were actually from Poundland, and I just know that my brother will adore them. The Sonic the Hedgehog Collectible Coin* (£12) is easily my favourite gift on this guide though - how amazing?! I've been a huge fan of Sonic the Hedgehog for years, and knowing that there is only 5,000 of these in the world is incredible. The Stormtrooper Coin* (£12) is another good option for those who love Star Wars! This set of Back to the Future inspired playing cards* (£9) is an amazing gift for those who are a fan of the film. They will be perfect for taking on holiday! 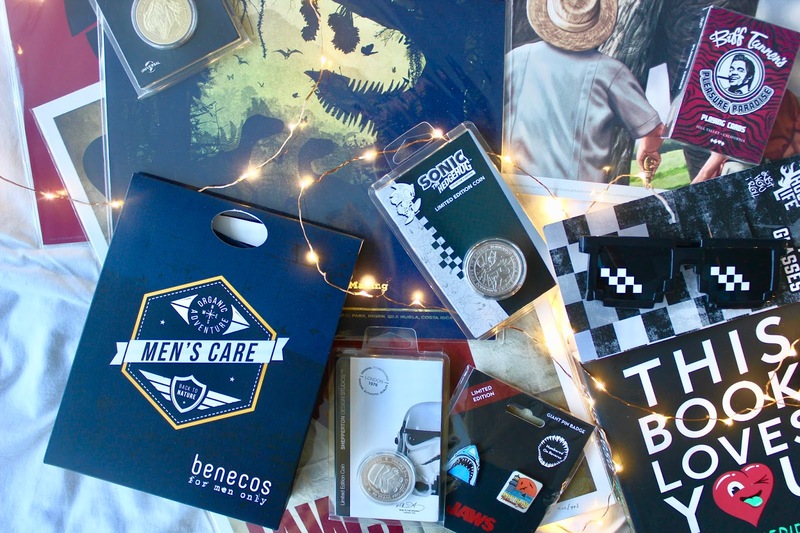 Jurassic Park Print* (£12) and Jaws Pin Badges* (£8) are the final offerings from Smart Arts Gallery in this gift guide, and again, they seem like such affordable, 'you can't go wrong' gift ideas! 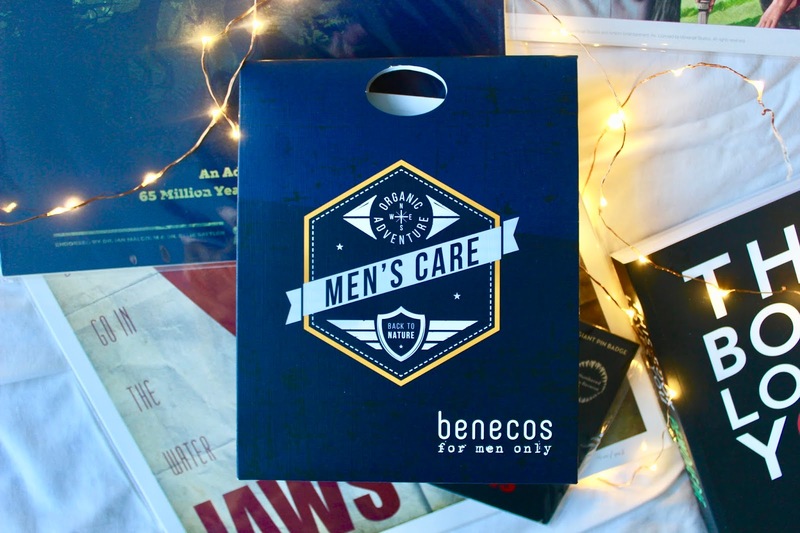 Additionally, Benecos offer a Men's Care Gift Set* (£11.90) which is the perfect gift for those who you're not sure what to get. Consisting of a 3 in 1 Body Wash for face, hair and body, and a 2 in 1 After Shave Balm, it's a fantastic choice - especially as it's vegan! How are you doing with your Christmas Shopping? I'd love it if you could let me know your favourite gift ideas for some inspiration! Be sure to link me to your Christmas Gift Guides, if you've created one! *Items marked with an asterisk (*) have kindly been sent to me for inclusion in this gift guide. Great post lovely! I love that 'life is what you bake it' print! I need to get one of those for my kitchen when we move out! I always struggle to find good presents for my Fiancé and my Dad etc so this has given me some good ideas, thankyou for sharing! I love Christmas shopping but this year have drawn a complete mind blank as to what to get everyone! I'm thinking of doing Christmas hampers for each family member and filling it with their favourite treats, so this would work wonders to pop into the baskets. I especially love the star mug, I am a sucker when it comes to cute mugs! omg, that 'i love you so much' print is literally me and my cat. Such a great gift guide and so unique as well! I was definitely in need of this for some inspo. I haven't started my christmas shopping yet (always a last minute person!) but I can't wait to get started and will definitely be referring back to this! I want all the guys gifts for myself!! Loool I'm such a dude! If I was living in my ideal home of quirkiness I would prob get most of the guy items, especially those coins. Now I'm humming the sonic theme song! def bookmarking for later, I have to buy a few gifts this year so need some inspiration. 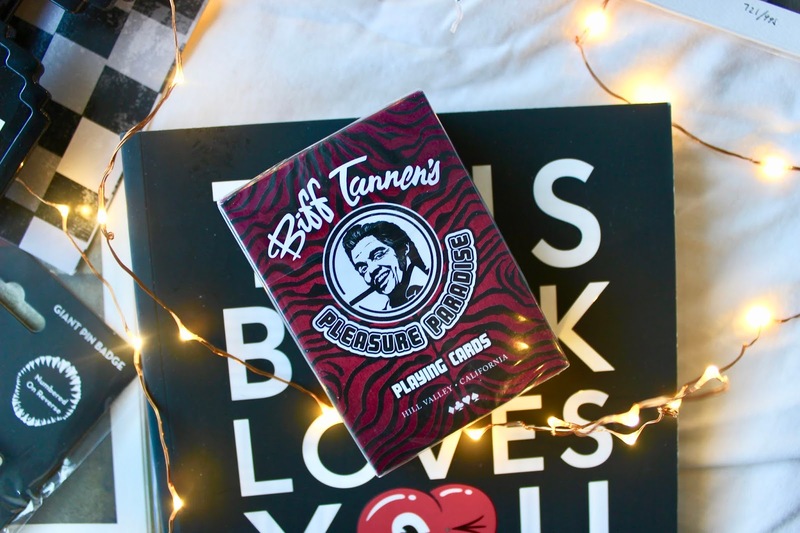 Lovely post, I love buying motivational notebooks for presents, I actually haven't even started my Christmas shopping yet and it's getting towards the end of November! I think I'll aim to start next weekend tho.. hopefully that's not too much of a rush aha. Thank you for sharing! :) great pictures too! All of these are really neat, thank you! I fully agree, stationary is one of the best gifts you can get haha! Thanks so much Aaliyah - good luck with it! This is amazing!! I was so stumped on what to buy this year. I'm really behind so this is exactly what I needed to see. Some beautiful ideas and well written post! I don't know yet what I'm gonna do for Christmas shopping! 😱😱 I need to find ideas of presents soon!! There are some really cute and unique ideas in this guide! I know several people in my family who would espechially love the jurrasic park items! 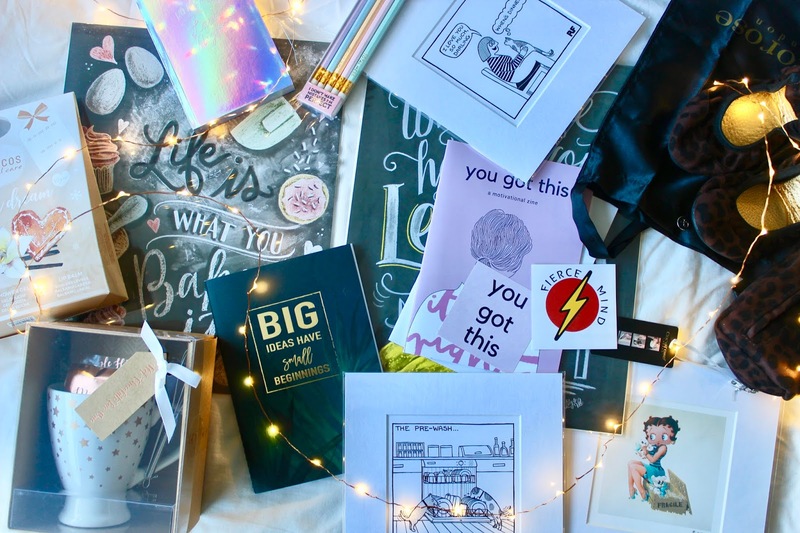 What an awesome and different gift guide this is Chloe, I’m all about gift guides which offer something other than the generic gifts and you’ve really created something great. These are all awesome gifts and I will definitely be checking a few of them out. I think self care and wellness presents are so important as people don’t usually prioritise it for themselves so it’s mice to treat people to it. Can’t wait to see more similar posts from you soon! Some great gifts here! I was mentally ticking people off in my head but my shopping is complete. I love everything you've included here and I'm definitely going to remember them for future times. I especially love all the prints, they're great! Great post. I'm always desperate for ideas for him. I like the playing cards. Thanks for sharing! Wow, this is a really great gift guide! I definitely feel very inspired after reading your post! I haven't started my Christmas shopping yet but I've written a list of all the presents I need to buy. I love all the art prints you included! Stationery is definitely on my Christmas Wishlist! Finding gifts for my mum or sister is always relatively easy! It is for my dad that it's more complicated! Such a great selection here though! Will sure be helpful! This is a lovely gift guide. I'm rubbish at gift shopping so posts like this are so helpful! Love these ideas! And it's great that you put men and women options! 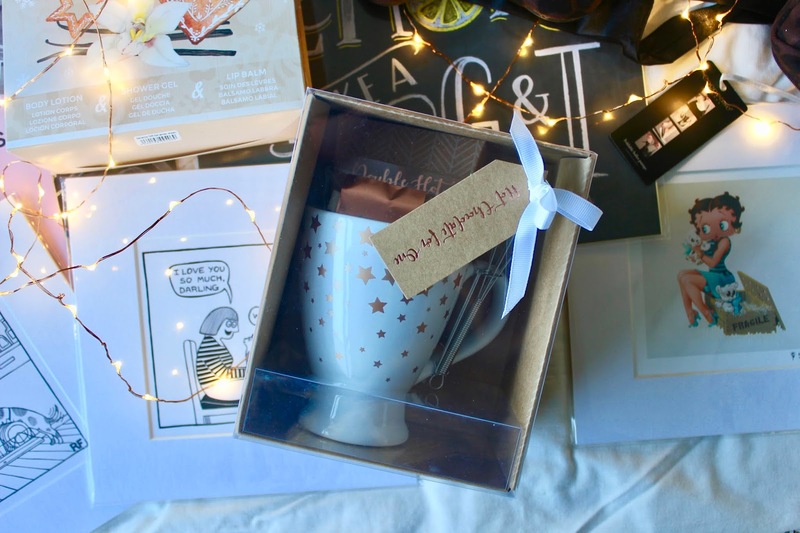 Oooh that star mug is gorgeous! I know a few people who would love that! I'm a pretty terrible gift buyer myself, so lists like these tend to help out a bunch. 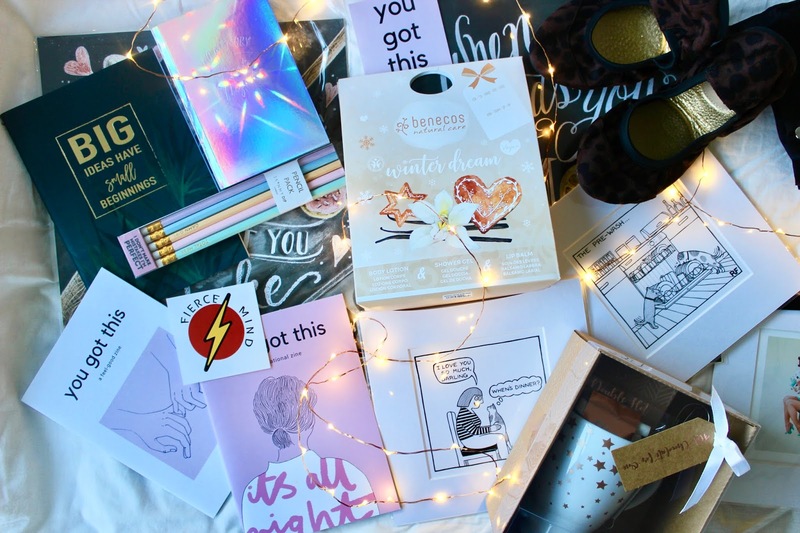 It has a little of everything in it too; some nostalgic goodies from movies, a bit of nerd fandom, and honestly stationary is arguably one of the best choices for anyone. My mother loves pretty, my father loves practical, my girlfriend loves heart-felt, so it's a big win there. Thanks for the share Chloe, I support this list! What a fab gift guide! Love that you’ve included both him and her ideas. Those prints are the cutest!